Tata Coffee is coffee company owned by the Tata Group. The company owns 19 coffee estates in southern India. The estates are spread across the districts of Coorg, Chickmaglur, and Hassan in Karnataka and Valparai district in Tamil Nadu. Tata Coffee is the largest integrated coffee plantation company in the world. Tata Coffee entered into a coffee sourcing and roasting agreement with Starbucks Coffee Company to supply coffee beans to its coffee chains in India. Both agreed to work toward developing and improving the profile of Indian-grown Arabica coffees around the world by elevating the stature of Indian coffee, as well as improving the quality of coffee through sustainable practices and advanced agronomy solutions. The company’s marketing and corporate functions are based out of it’s corporate office located in Bangalore.The company’s shares are listed in the National Stock Exchange, Mumbai, Bangalore Stock Exchange Ltd., Madras Stock Exchange and Hyderabad Stock Exchange. 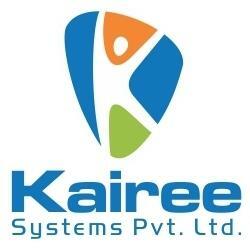 Kairee Systems Pvt Limited, India is a leading IT Company providing Business Solutions across the globe. To cater to the current market, it is our sincere desire to create a wonderful environment for you to explore and to create a Discovery Experience. We realize the vital aspect of our clients therefore our target is to provide them with professional service Quickly, Accurately, Extreme Quality and most important economically. At Kairee Systems the process execution is always according to our clients requirement and can adjust our Virtual Resource Model (V-Resource) as required by business needs of the client and time frames. Once involved into the project, we focus exclusively on business challenges of the customer by giving supreme service quality, adhering to schedules and budget. How To Apply : Interested And Eligible Candidates May Apply through Online & Submit your CV/Resume on the website. Manugraph India Limited is India’s largest manufacturer of web offset presses. It is the first Indian company to have achieved a breakthrough in exporting “Made in India” printing machines to advanced countries such as Germany, France, UK & USA as early as in 1994-95. Over the years, Manugraph has emerged as a thriving, nimble, printing machinery manufacturing enterprise, because of its ability to adapt itself rapidly to meet the challenges of a competitive economy and its commitment to be a supplier of choice by delighting customers with its excellent services and cutting edge technology. Manugraph believes that the key to maintaining a sustained success is choosing the right technologies and applying them to build cost-effective quality machines. Constant modernization and employment of state-of-the-art technology has enabled Manugraph to stay ahead in the industry, always. The Company is always looking for Talented, experienced and Desire Professional candidates for work with the Company. we provide better facilities for our Employees. If you want to Join please visit company website. Candidate should be Post Graduate with HR qualification. Should be qualified Welfare Officer under Factories Act, 1948 and around 12 to 15 years experience in medium or large scale organization of which 5 years should be as an independent functional head. He will be responsible for all aspects of HR Management functions including manpower planning, recruitment, performance appraisal, ISO HR systems, training, Welfare, wage and salary administration, Statutory compliance, Industrial relations and all administrative functions. The candidate having good computerized knowledge in excel will be preferred. Candidate should be qualified Cost Accountant with 10 to 12 years’ experience, of which at least 5 years should be as a Head of Accounts/ Costing Department of a Manufacturing Company, with experience of day to day work in finalization of Corporate Accounts, Direct & Indirect Taxes & in depth exposure of costing related area such as maintenance of Cost records, Cost controls, Inventory Valuations, Cost compilation, handling Cost Audit etc. Working exposure on ERP is a must. Preferably age below 45 years. Candidates Keep Touch with us For More Latest Updates. If Candidates have any other Query Regarding this Post so Candidates please ask with us. we are trying to provide better Response shortly. In today’s competitive scenario you need a trustworthy financial partner who can deliver, especially when it concerns your financial needs. So why get hassled seeking financial services on your own, when you can appoint Balaji Corporation enabling you saving your precious time to focus on your business expansion. We simply believe that actions of individuals forms a community and every business has an obligation to support those communities. We are aiming to provide effective services to our clients with a harmonious blend of traditional and functional services. Bank is always looking for Talented, experienced and Desire Banking candidates for work with the Bank. we provide better facilities for our Employees. If you want to Join please submit your Resume And Contact With Bank at- Companies Website. Interested And Eligible Candidates May Apply Online For Current Jobs And Recruitment. You can also send your inquires to [email protected] Please Visit Website Regularly And We will Updates Jobs/Recruitment Regularly. ADI Group started its first venture under the name “ADI Back office Professionals (P) Ltd.” in 2004. Very clear of its vision since its incorporation, ADI has been recording growth of 100% per annum. Under the guidance of experienced Directors, ADI moved towards its Goal on building an organization people love to work with. Growing at a steady pace all these years, ADI today has Medical Doctors, Researchers and Engineers serving on its Executive Board. A company whose passion is to provide its clients with operational excellence and helping them optimize their needs that really make a difference to enterprises, the community and the world? Then you are the one that we are looking for to be part of our growing Business. ADI Back office, Mohali, Punjab is Looking for the Experienced, Qualified, Result Oriented and willing candidates for work with the IT Management company. The current Openings of Company are Given Hereunder. Interested And Eligible Candidates May Apply And please mail your resume to [email protected] And For more career options call us at +91-7307764577.